Beautiful writing on imaginary things: "There's no word for secret messages in alphabet soup. Or the first time you put your feet in the grass after a long winter . . . Or for a stranger's note in a used book." Read it aloud; I hope the children in your life will be transported to the imaginary, and, like the Velveteen Rabbit from long ago, become more real with love. 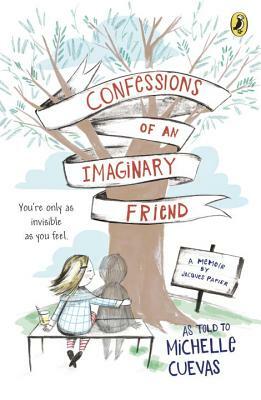 The whimsical "autobiography" of an imaginary friend who doesn't know he's imaginary--perfect for fans of The Miraculous Journey of Edward Tulane and Toy Story. Jacques Papier has the sneaking suspicion that everyone except his sister Fleur hates him. Teachers ignore him when his hand is raised in class, he is never chosen for sports teams, and his parents often need to be reminded to set a place for him at the dinner table. But he is shocked when he finally learns the truth: He is Fleur's imaginary friend! When he convinces Fleur to set him free, he begins a surprising and touching, and always funny quest to find himself—to figure out who Jacques Papier truly is, and where he belongs. Michelle Cuevas (www.michellecuevas.com) graduated from Williams College and holds a master of fine arts in creative writing from the University of Virginia. She lives in Massachusetts.